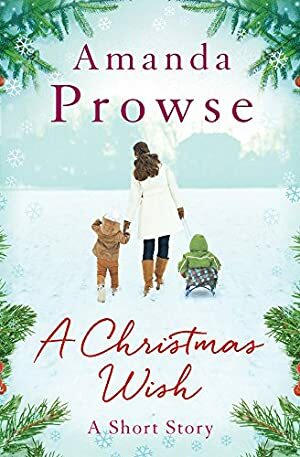 A special Christmas short story, from the million-copy bestseller Amanda Prowse. Poppy is trying to make sure her children have the perfect Christmas. The fields are sparkling with snow, the turkey is roasting, and the tree is groaning with presents. But Poppy's beloved husband is fighting in Afghanistan, and the kids are missing their Dad. Can all their wishes come true without him? Or will they have the perfect Christmas after all? This is a wonderful, warm festive treat from a bestselling author. 'If you love Jojo Moyes and Freya North, you'll love this. There's no shortage of books with Christmas in the title, but this family-focused story stands out from the rest' CLOSER. We started tracking this book on November 17, 2013. This book was £0.50 when we started tracking it. The price of this book has changed 21 times in the past 1,978 days. This lowest price this book has been offered at in the past year is £0.75. The lowest price to date was £0.29 last reached on December 13, 2013. This book has been £0.29 one time since we started tracking it. The highest price to date was £0.99 last reached on December 17, 2016. This book has been £0.99 6 times since we started tracking it.